Honda and Team Dynamics Motorsport, which manage Honda Racing, recently unveiled the car for this year’s British Touring Car Championships (BTCC). The race car uses Amber Composites prepreg for a variety of structural and body parts, including the front crash structure, side impact panels, door panels and under body floor. 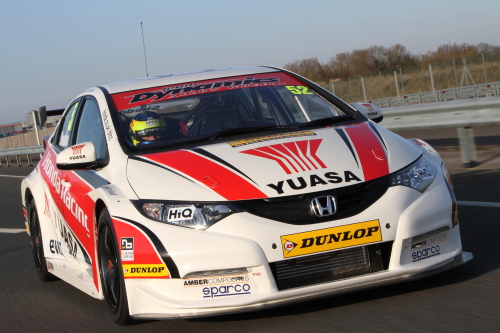 “Continuing the technical collaboration started in 2011 with Amber Composites is of great benefit to the Honda Racing BTCC team,” says Peter Crolla, Team Manager, Team Dynamics Motorsport Ltd.
Amber Composites, Nottingham, UK, manufactures composite materials for a diverse set of industries including motorsport, automotive, aerospace, communications, marine and wind energy.